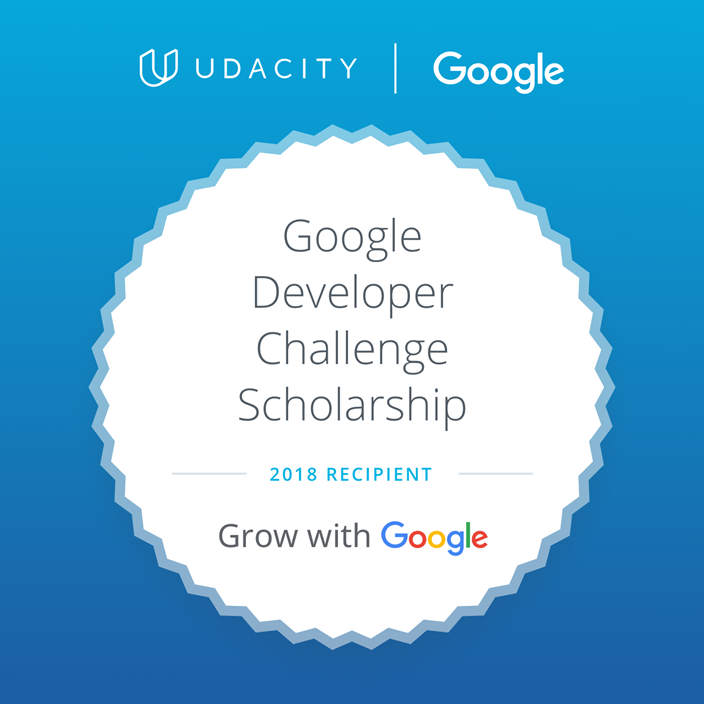 I am way late to be posting this, but…hey, I got a developer scholarship! Last year, I saw a post on my local Girl Develop It Slack channel about scholarships being offered by Google and Udacity to US residents. They have 2 tracks, Android developer and Web developer. Within each track there are 2 levels, beginner and intermediate. Out of (what I read was) 100,000 applications, I ended up getting one of 10,000 places in the intermediate-level, Mobile Web Specialist track. A few others in GDI also got seats, for both tracks and levels. Google and Udacity also offer this same experience for residents of Europe, Russia, Egypt, Israel and Turkey. So far the course is structured around creating an “offline-first” experience, using Service Workers. What this means is when people are using your website or app, they will still be able to get content, even when they don’t have internet connectivity. Offline connectivity!? How does this happen? This happens because those apps and websites are using Service Workers, which intercept the connection between the app and the internet (the network). The service worker allows developers to create custom responses and other behaviors when there is no internet connectivity or when there is poor internet connectivity. As mentioned above, the course covers service workers, the Fetch API, the Cache API, and IndexedDB using Jake Archibald’s Promised library. The course also covers Promises, which ties all this together. In addition, as I’ve read through the forums and discussions that the course designers have provided for us, I’ve come to realize that we are also learning about ES6 (ECMAScript 6) and Progressive Web Apps, which might just be another way of saying “offline first”. In addition to this course, I’ve also found another “Grow With Google” course. The Google IT Support Professional Certificate, which is accessed on Coursera. I haven’t discussed this course or this scholarship with people at work. I have misgivings about sharing this news. I guess I’m in a wait and see approach. Maybe if I move onto the nanodegree…or maybe not. I have until April to finish the course.